For further information about Journal Citation Reports, including step by step instructions for accessing it, please see our earlier post. 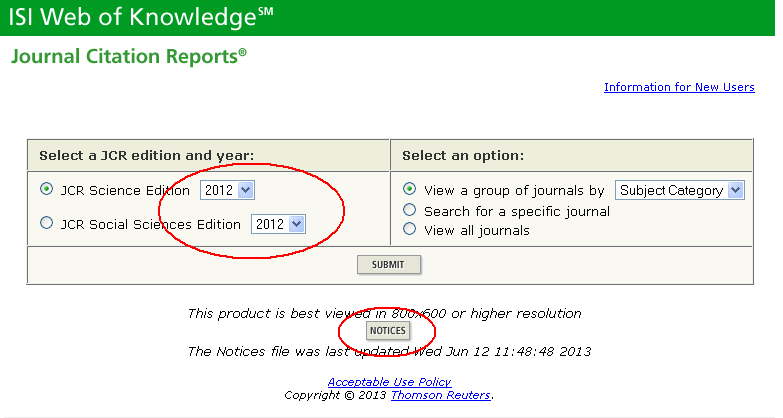 Posted on June 21, 2013, in Library and tagged bibliometrics, citations, library, resources. Bookmark the permalink. Leave a comment.